The first thing that comes to ones head when someone says China is the Great wall, Shanghai or even Jackie Chan. Well I went to a China that was far away from all of this. In the summer of 2012 I went on a summer exchange program to Kunming, a small city in the Yunnan Province. Our school offers student exchange trips to various countries such as Germany, France and China. I chose China because of its long heritage and culture and interesting take on food. I was assigned a Chinese student counterpart called Zhang. He was a 15 year old boy who studied at the No.1 High School. As we were leaving India, everyone had their individual apprehensions and expectations. Most of my friends (being vegetarians or semi- strict believers that beef is sacred) were concerned about the food while some were uncomfortable about sleeping in a stranger's house. I on the other hand, high on the pictures of China I saw the previous evening on the telly, was just anticipating to get shots like those. And might I add, I was not disappointed. After landing in China and recuperating in our counterpart's homes for a day, we took off for the stone forest. It is the most magnificent thing I have ever seen. The whole area was originally a cave which slowly eroded away leaving just long uneven pillars of stones that look like mammoth trees. I took a picture of my hand on the stone's undulating face. The picture is really simple but the texture and the way my hand sits on the stone gives it this beautiful warmth and life-like quality. The following couple of days were okay. We danced around on funny traditional Chinese and learnt that the word "pao pao" could both mean baby and backpack. This information would have come in handy a day earlier when a couple of us Indian friends went roaming around a park screaming pao pao to every kid we saw. I had another opportunity to use my camera when we went to a cave somewhere in the outskirts of Kunming. I got to shoot instantaneous shots here. Sudden pictures that are only available for a tiny fraction of a second. The first one was an easy one. 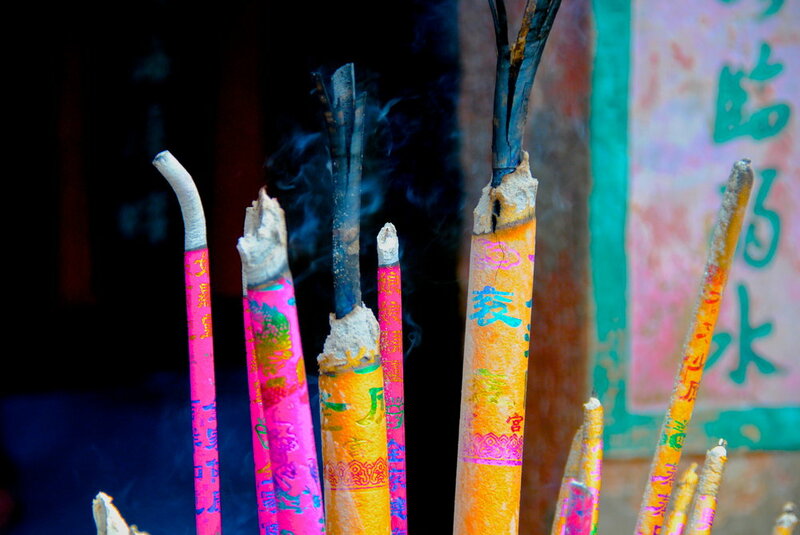 It was a bunch of Chinese incense sticks burning captured with a tiny cloud of the smoke. However the other picture was amazing. It was a rainbow with the backdrop of a lake which was green because of some sort of cabbage growing on the waters surface. Capturing this picture gave this sudden rush of achievement, as if I was some hotshot photographer that caught a lemur doing backflips through a hoop of fire. A poorly researched but expertly styled guide to raw fish in a landlocked city.